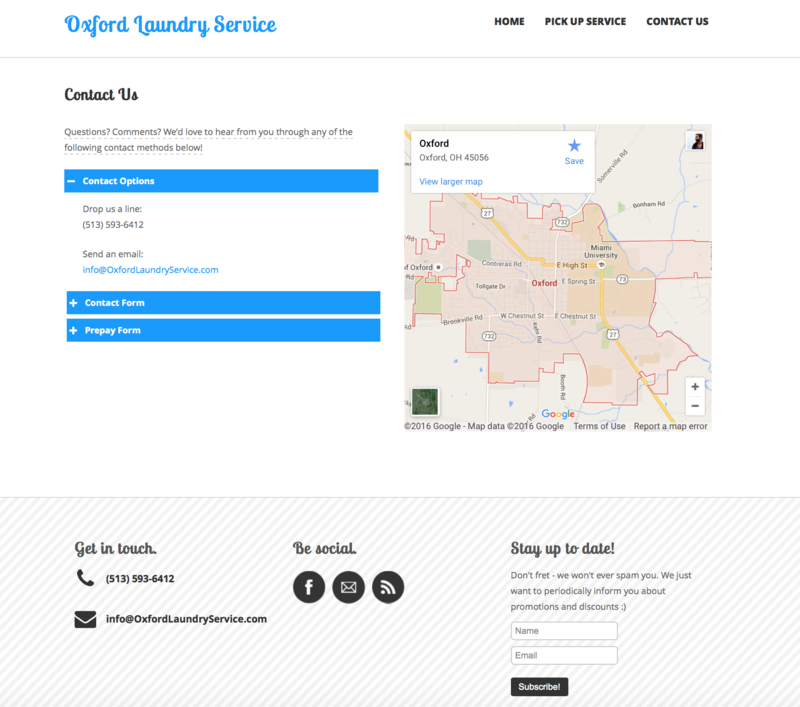 Oxford Laundry Service is a new, family-owned and operated company in Oxford, Ohio specializing in pick-up and drop-off laundry care. They launched last year and contacted me shortly after to discuss their options for obtaining a Web presence. 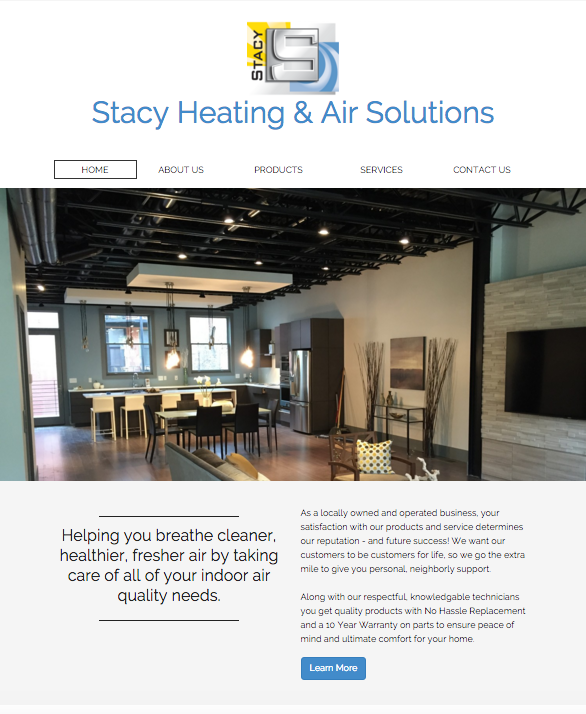 They said they wanted something simple and ‘clean’ (pun intended) since that’s the image they’re building for the business – for obvious reasons. 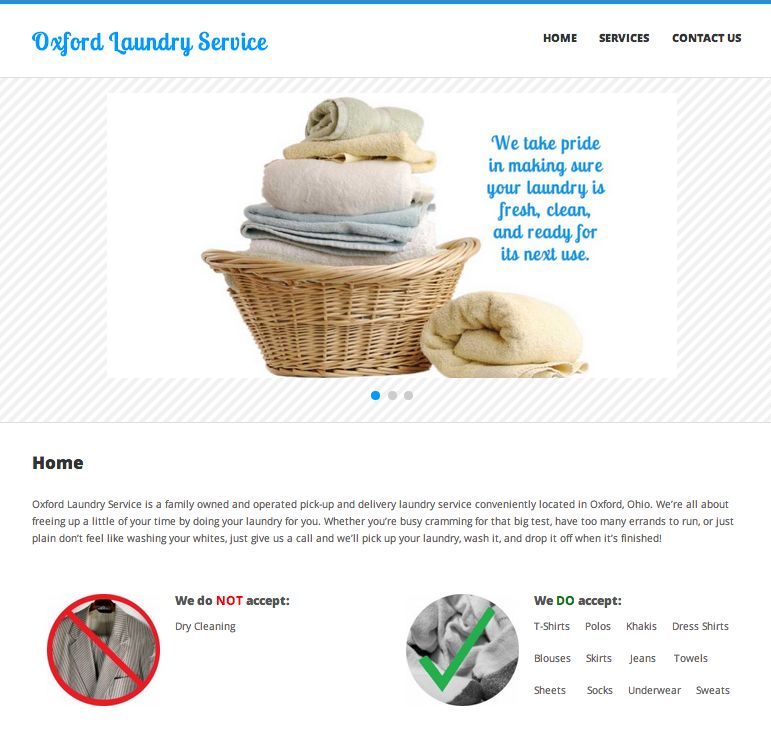 Oxford Laundry left us a lot of design freedom, and I think they’re very happy with the results. 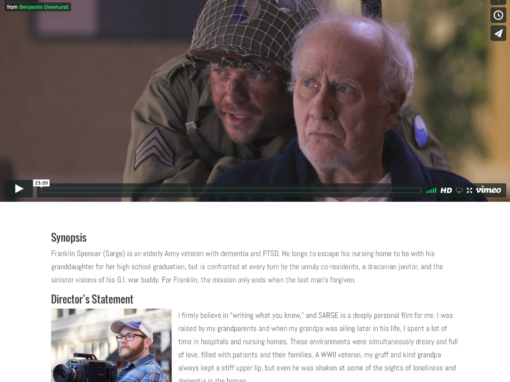 They’ve been extremely pleased with the website and surprised by the speed of the ROI. 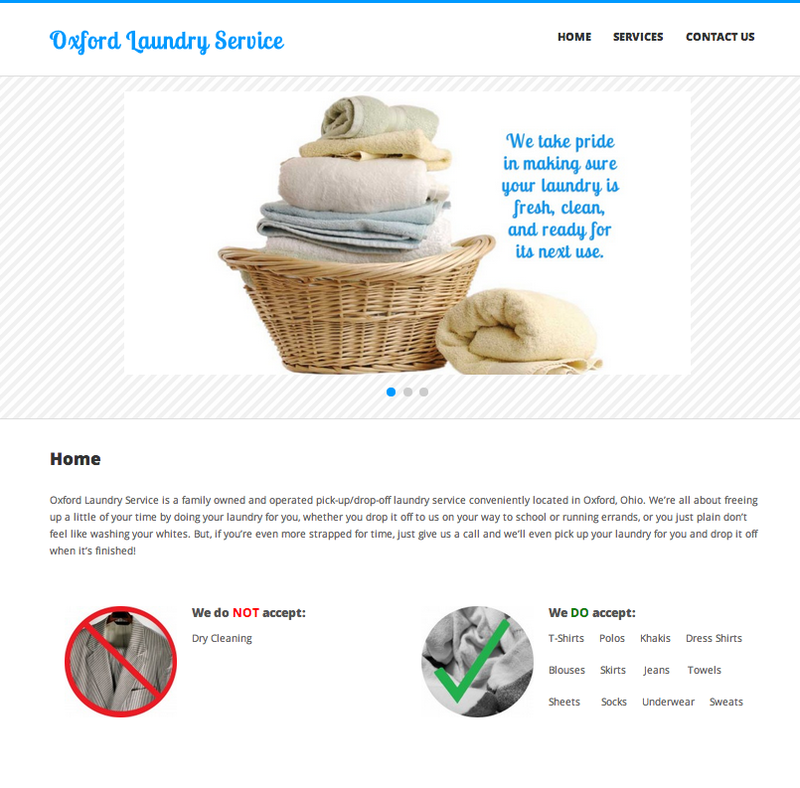 Oxford Laundry Service immediately saw that their customers appreciated and adapted to the new website because of subscription signups for further communications and from general word-of-mouth feedback from site users. We’ve continued to work with them to assist with the design of periodic email newsletters and changes to their website’s written copy. You can see they’re still very pleased with the results of the project based on their admitted smaller budget, and are continuing to experience lots of positive feedback and benefits because of choosing the works IT. I have looked at the site and its beautiful!!!!!!!!!!!!!!!!!!!!!!!!!!!!!!!!!!!!!!!!!!!!!!!!!!!!!!! So much more than what I had expected!! Thank you, thank you, thank you for making it look beautiful and sound professional. When you have a smaller budget, it makes website a bit more challenging, but we still focus on the important features desired and make the hours count by finding ways to make the essentials really shine. Another way to make it really count is something we take very serious on all of our projects – SEO and copy writing. Getting the message across to the audience while also making important decisions on core SEO methods is never time spent carelessly.